We’re so convinced you’ll absolutely love our CRM system, that we’re willing to offer a full 30-day free account. Once your 30-day trial is over you will be able to add a payment method to your account and start your paid subscription and can cancel at any time no questions asked. Up to 4 Affiliates and Portal. 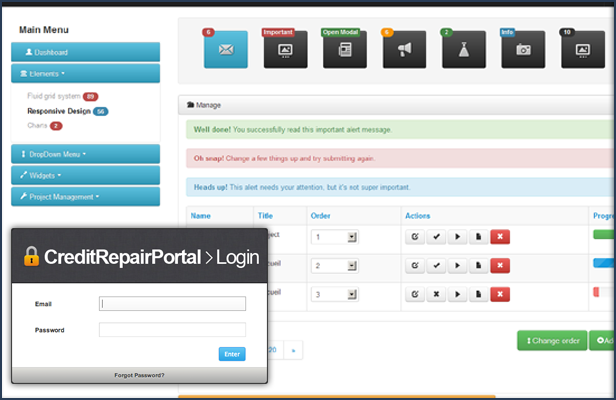 Private Label Client Portal . Up to 20 Affiliates and Portal. Up to 40 Affiliates and Portal. Helping our clients to meet their goals! 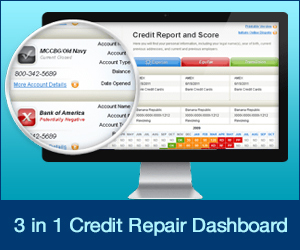 Over 3000 credit repair companies have trusted us as their software provider. We are a truly member of their team. 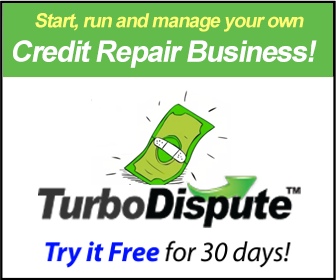 We do our best to meet and exceed our job role in providing you with the best software on the market to start run and manage a successful credit repair business. No. TurboDispute is a pay-as-you-go service. There are no long term contracts or commitments on your part. You simply pay month-to-month. If you cancel, you’ll be billed for the current month, but you won’t be billed again. TurboDispute runs in a cloud based server instead of your computer, allowing you a faster startup with lower costs and there is nothing to install. With monthly updates to the system It never goes obsolete because you’ll always have the latest version. 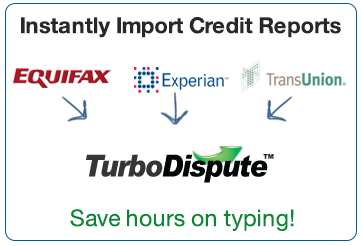 As long as you have an internet connection, you can access Credit Repair Cloud from any computer, windows, mac, or ipad. What is a Private Label Client Web Portal? Will you advertise or market to my clients? No. We are a software company, and we will never sell, advertise or market to your clients. In fact most of your customers informations such as their address, social security, date of birth and telephone number is encrypted and we can not see that data, only you can fully view your customer’s information. Absolutely – You can upgrade your downgrade your plan any time. Are there any hidden fees or secret prices? Our prices are public, published on our site, and the same no matter who you are. Pricing is guaranteed and locked, so the cost of your plan will never increase.